The chestnut brown Day-Light SunLite Bright Light Therapy is designed for those who are experiencing mild to moderate symptoms due to light deficiency. Effectively treats the "Winter Blues", jet lag, circadian sleep disorders and low energy. 10,000 LUX of glare-free white light at 1099.3% UV-filtered. 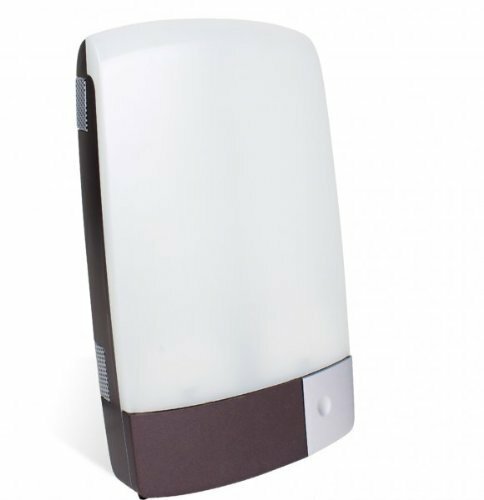 The choice of a light therapy device will be based on the severity of symptoms and/or the specific disorder. More than half of Americans lose sleep due to stress and/or anxiety and between 40% and 60% of people over the age of 60 suffer from insomnia. Compact, modern design, discreet for home or the office, and portable for travel. Hold at 10 inches for maximum benefit - you need to only use 20-30 minutes daily for results. Assembly level/degree of difficulty: No Assembly Required. WELLNESS therapy for mild to moderate symptoms due to light deficiency.